← Tales From The Barber Shop. This entry was posted in Barbering, Hair, Influences, Lifestyle, Pompadour, Rockabilly, Style and tagged Barber, barber shop, barbering, Barbershop, barbershoppe, Bay Area, Bay Area barbers, creams barber shop, creams barbershoppe, crevms barber shop, crevms barbershoppe, fade, Greaser, greaser barber, greaser haircut, men's haircut, Pomp, Pompadour, pompadour haircut, Rockabilly, rockabilly barber, rockabilly haircut, San Francisco, shear cuts, taper, the rebel rouser, therebelrouser. Bookmark the permalink. Seems like appointment could be made on this site? Wish there were Mondays/Fridays availability. I rarely get a haircut due not knowing what to ask for or say out of embarrassment and lack of knowledge, but hopefully I can get a cut from you and get schooled. Been trying to find a barber in the bay area I can stick with. 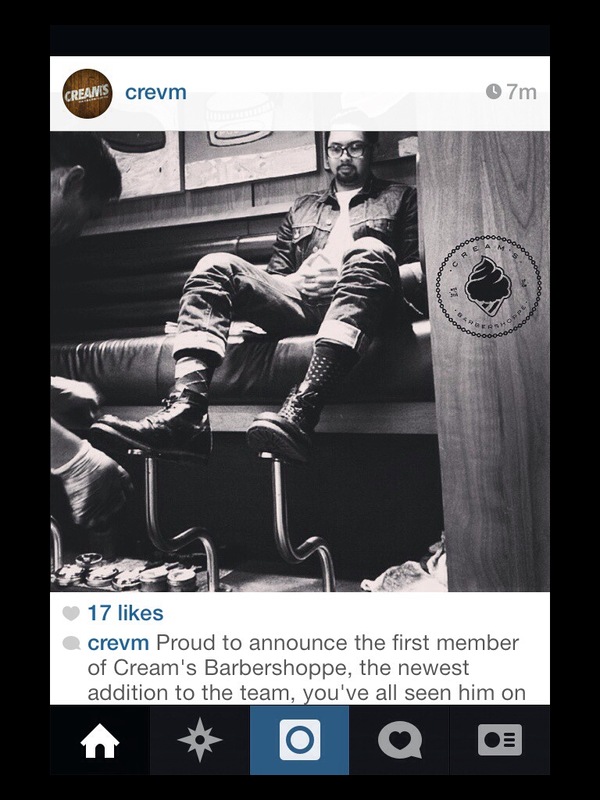 Yes, scheduling can be set up via the CreamsBarbershoppe website. I haven’t accessed my end of the scheduling system, yet, but it is fully functional. I may start working on the Monday following the 3rd, so stay tuned! If anything, shoot me an email and I’ll get you sorted. Did you ever get my reply email? I would like to schedule a appointment with you this Friday at 10am if possible. Please let me know. Thanks.